On September 3, 2010, Andy Irons won the Billabong Pro at Teahupoo, Tahiti. Two months later, on November 2, 2010, one of the world’s greatest surfers was found dead, lying on his back in a bed, sheets pulled up, in a hotel in Grapevine, Texas. That’s about the centre of the US and about as far away as you can get from a surf coast. And it’s a very long way from Kauai, Hawaii, where his wife Lyndie and their unborn son, Axel, awaited his return. Andy was alone when he died. 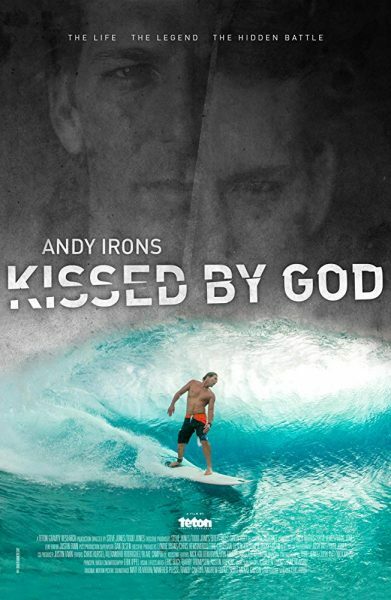 Andy Irons – Kissed By God is a soul-baring insight into Andy’s life and the events that led to that tragic discovery in the Texas hotel room. Beautifully and sincerely directed by Todd and Steve Jones, of Teton Gravity Research, the film dives deep into Andy’s bipolar disorder and opioid addiction that was previously buried beneath the veneer of a surfer who was widely regarded as the people’s champion. There is something eerily familiar about the pathways that presented themselves to Andy and his brother Bruce throughout their life and career. The emergence of exotic destinations, riotous surf travel and money flooding into the sport at a similar rate to alcohol abuse, narcotics and pharmaceuticals. It’s a story that has similar strands running throughout New Zealand. Perhaps the power of this film is not just in the incredible surfing achievements of the three-time World Champion, as he battles his demons, but in the breaking down of the stigma and attitude toward disorders like bipolar and addiction. Millions of people worldwide struggle with mental health and addiction. Mostly it’s swept under the carpet. That is certainly the case in New Zealand. Films like this change attitudes, break open myths and open minds. One of Andy’s last confiding moments with Kelly Slater was to urge him to help him tell the story of their rivalry and to bare all to help future generations avoid the same pitfalls. It was a poignant moment and I can’t help but think that the hours of emotionally charged interviews that Kelly gave about his nemesis were his way of staying true to Andy. 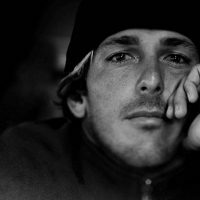 Bruce Irons, Andy’s younger brother, narrates the story and provides a backbone as heart-wrenching as it is honest. He is joined by Lyndie who shows incredible resilience and fortitude to show her perspective looking on as the opioid and bipolar disorder storm rages within Andy. It seems nothing is held back. Tears fall. More will come. Somehow, through the intensity of it all, Todd and Steve Jones have captured an insight into the life of Andy Irons so well that you begin to understand his demons and challenges. That makes it even more remarkable with what Andy was able to achieve. And it makes it infinitely sadder for those he left behind and the son he never got to meet. This is not just a movie for the era – this small window in time, but a movie for generations. I watch my own children run down to the surf, they’re 13, 11 and 9, and while this movie may not suit them right now, there will come a time where Andy Irons – Kissed By God will help to open their eyes to the world of mental health and addiction. Thanks for sharing that with us, AI. Movie description : The Andy Irons Story is a documentary film that focuses on the true, untold story of one of the world’s most prolific surfers. The intent of the film is to show the unfiltered life of Andy Irons, one that was filled with energy, passion, success, and challenges. Challenges that pushed Andy to the brink and were both the best parts of Andy and the hardest to handle. The filmmakers, Steve and Todd Jones, wanted to create a film that captured the true essence of Andy Irons - his family, his friends, and those who later realized a friendship that at times was hard to understand. The film features in-depth interviews with Andy’s brother Bruce Irons, his wife Lyndie Irons, Joel Parkinson, Nathan Fletcher, Sunny Garcia, and Kelly Slater. 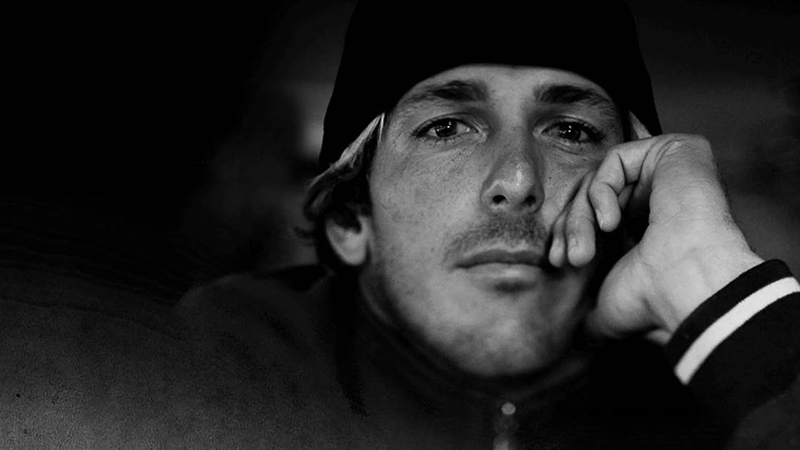 Andy’s friends, family, and competitors share their stories of intimacy and fire with Andy Irons throughout the film. The unabashedly honest testimonials compel the story and reveal the very real side of Andy. This is not a film about surfing; this is a film about a person that lived life to its fullest at the top of his industry, but did so facing insurmountable internal challenges. This story is about everything that made Andy Irons the man he was. While it's set in the vibrant world of the World Championship Tour, this film transcends surfing and enters a realm where life's challenges wrestle constantly in a bipolar storm with the occasional moment of serenity often just a thinly veiled crutch of addiction. This is a movie that breaks down the myths and mis-truths around addiction and bipolar disorder. A must watch for our generation and for the ones that follow. Great film, brutally honest. Have watched it 3 times!